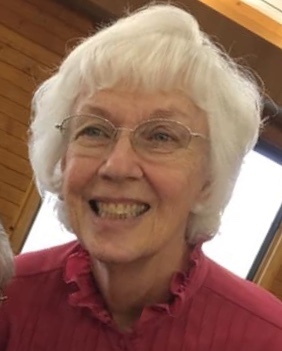 Joyce Ann Lovercheck Kelley, 79, passed away April 2, 2019 at Hot Springs County Memorial Hospital in Thermopolis after a six year battle with pulmonary fibrosis. Born November 27, 1939, in Lovell, Wyoming, she was the daughter of Corrie E. and Norma (Richards) Lovercheck. After graduating from Powell High School she attended Northwest Community College. On August 7, 1957, she married Michael Francis Kelley in Powell, Wyoming. Joyce was a teacher’s aide in Basin, WY then became a secretary for Cummings Power in Casper, Casper Radiology, Jacobs Engineering, then SAIC, both in Albuquerque, NM. Joyce enjoyed playing piano/organ, singing and teaching piano. She was an acrylic painter, dress maker, quilter and was active in her church. A member of First Baptist Church she enjoyed music ministry and served as deaconess and teacher. Loved ones cherishing her memory include her husband, Michael, of 61 years; sons, Terry (Dora) of Casper and Stephen (Jenny) of Windsor, Co; daughters, Janna Kelley of Albuquerque and Teresa (Bryce) Gilbert of Thermopolis; brother, Larry (Trina) Lovercheck of Palo Alto, CA, sister-in-law, Honey Lovercheck of Thermopolis; six grandchildren, two great grandchildren and numerous nieces and nephews. Joyce was preceded in death by her parents, stepmother, Ann Lovercheck, brother, Corrie Lovercheck and granddaughter, Nicole Gilbert. Memorial services will be Saturday, April 6, 2019, 11:00 am at First Baptist Church with Pastor Harvey Seidel officiating.